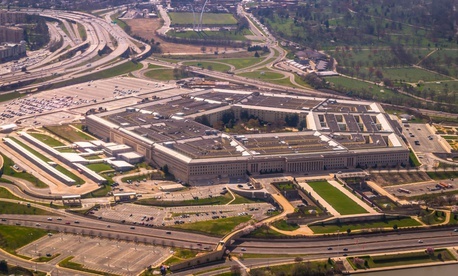 The Defense Department could save $2.3 billion by implementing nearly three dozen outstanding reforms proposed by its inspector general, the auditors said in a recent report outlining the more than 1,500 open recommendations that the Pentagon has yet to address. More than 50 of those recommendations have sat idle for at least five years, the IG said, with failures driven primarily by a lack of communication among various components. Military services have also struggled to draft new policies when the overarching departmentwide policy is simultaneously being reshaped, the auditors said, leading to further delays. A 2006 report calling for changes to the security clearance process, for example, remains unresolved because the services are still waiting for Defense to update an instruction issued in 1987. Most of the potential financial savings that could result from unrealized recommendations surround acquisition and contract management. They involve both costs that were questioned for possibly violating a law, regulation or agreement, as well as funds that could be “put to better use” if costs were reduced, expenditures deobligated, operations improved or unnecessary outlays eliminated. The IG found an Army medical center, for example, was failing to properly collect from delinquent accounts. More than $73 million has gone uncollected, the auditors said, a figure that will only continue to climb unless the department takes corrective action. The IG identified 25 outstanding recommendations as “high priority,” meaning their implementation would result in “significant improvements to DoD operations.” A majority of those involved either implementing efficiencies or ensuring ethical conduct. The Pentagon, for example, has yet to take action on the IG’s recommendations to ensure service members convicted by court martial of certain offenses have their fingerprints recorded and sent to the appropriate law enforcement databases. Fixing such failures could have prevented the November 2017 church shooting in Sutherland Springs, Texas, that left 27 people including the perpetrator dead, the IG said. The inspector general’s office called on senior leaders throughout the department to take action on open recommendations, noting they are required to do so by Defense policy. Managers should better communicate with the auditors to state whether they agree with each recommendation, and if they do, lay out a specific plan of action including milestones. When managers disagree with the IG, they should describe in detail why or propose alternative solutions to address the underlying issue, the report said. When managers take action to address recommendations, they should document those steps and provide the documentation to the IG. Of the 1,558 open IG recommendations, Defense management has agreed to resolve 1,456. The “compendium of open recommendations” unveiled this month was the second the IG has released. Defense has closed about one-third of the cases that were open as of the last year’s list, saving the department $31.5 billion.